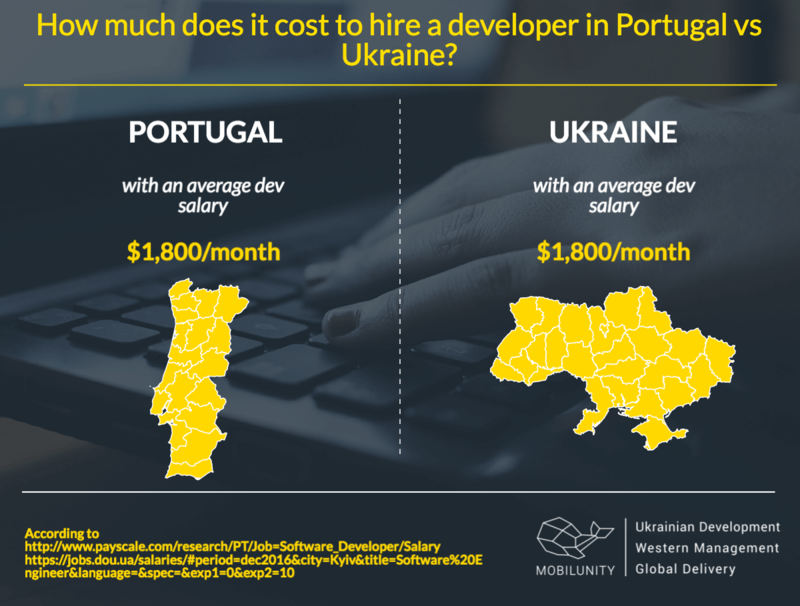 Home / Blog / IT Staffing / Should You Hire Dedicated Developers in Portugal or in Ukraine? The modern economy of Portugal has gone through many stages of development, from the era of conquest and ending with the country’s accession to the EU. At the moment, IT sphere is one of the most promising sectors in this country. IT outsourcing of Portugal developers for hire is also popular there. As it is reported by Portuguese American Journal, this country is one of the most significant competitors in providing IT outsourcing and IT staffing services in the world. Innovative developments are used here in many spheres of public life, including the financial sphere and the sphere of public administration. The development of Portuguese IT sector also allows to talk about increasing utilization of information and communication technology in this country. Thus, according to ICT Institute Carnegie Mellon, Portugal is one of the leaders in the usage of mobile devices which also leads to the increasing development of mobile apps. Nevertheless, IT staffing of UA developers is also rather promising and can be a good disjunctive to Portugal dedicated team due to the number of reasons listed here. Share risks and responsibility with the outstaffing company. If you want to hire developers in Portugal, first of all, you should be acquainted with the scales of their wages. It also makes sense to compare these indicators with salaries of Ukrainian programmers. We have conducted research and found out that the salaries are almost the same in both countries and vary only due to the stack of skills developers possess. An average developer’s salary in Portugal is $1,800 according to the PayScale. A software programmer receives near $1,800 in Kyiv, Ukraine. 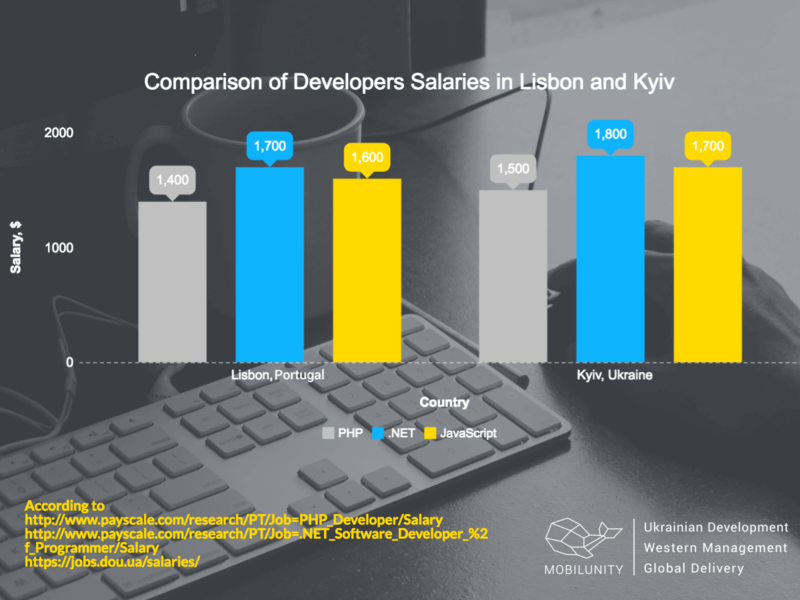 From the comparison above you may conclude that the rates for dedicated and remote developers in Ukraine and in Portugal are the same. Thus, hiring Lisbon dedicated team for your development team extension will cost the same as cooperation with Ukrainian programmers. Nevertheless, don’t forget that IT outsourcing of dedicated teams of Mobilunity gives you a possibility to control your investments and pay fixed monthly rate according to different and very flexible plans. This means that you will be always able to save your money and receive products of high quality hiring UA development teams with us. Before you decided to hire developers in Portugal or in UA, contact us to begin our beneficial cooperation right now!